“Run to Me.” 2013. 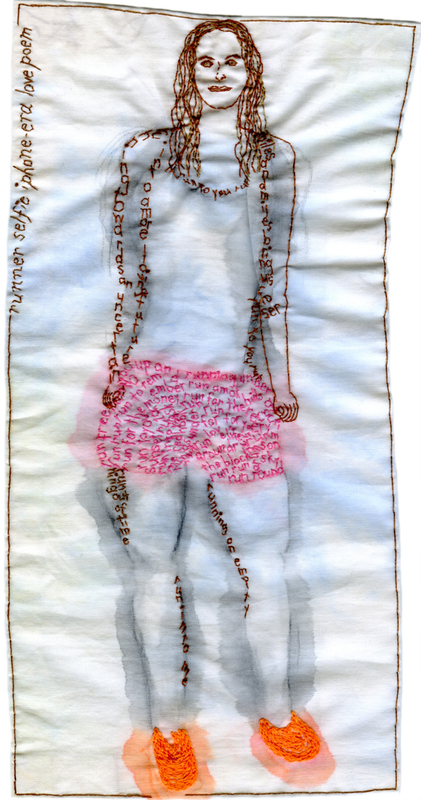 Embroidery and watercolor on fabric. 11″ x 5.5″.